It’s never too early in life to think about heart health. We’ve made great strides in treating cardiovascular disease and strokes over the last sixty years, lowering the mortality rate from 35 percent down to 5 percent. While treatments have greatly improved, it’s still important to think of how heart disease and strokes can be prevented. There are many ways to improve your cardiovascular health, such as increasing healthy habits like exercise, and cutting out unhealthy ones like smoking. 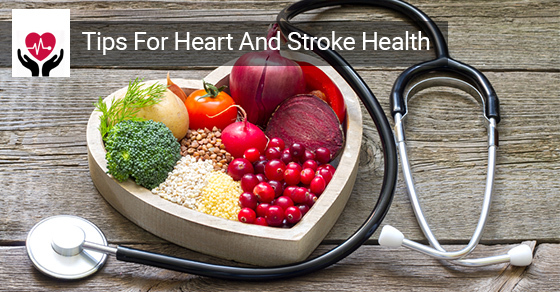 Nutrition, however, is a huge part when it comes to maintaining heart health and preventing heart disease and stroke. Here are a few nutritional measures you can take, to ensure a healthy cardiovascular system. Get to know which foods contain potassium, and be sure to incorporate them into your meals and snacks. Load up on Healthy FatsWhile fat is often looked upon as the culprit when it comes to heart disease, it’s important to differentiate between healthy fats, and unhealthy fats. While you should definitely stay away from foods that contain saturated fat, heart-healthy Omega 3 fatty acids should be a regular part of your diet. You can buy Omega 3 supplements, or find them in fatty (and delicious!) fish such as salmon, mackerel, or sardines. Lower Your CholesterolCholesterol is produced by your liver, and you need a certain amount of it to be healthy. However, unhealthy cholesterol can build up if you eat too many saturated fats, and other high-cholesterol foods such as fried food, red meat, eggs, and dairy. Overdosing on cholesterol can cause a build up in your arteries and raise the risk of heart disease and stroke. Turkey, chicken, or salmon burgers instead of beef. Nuts, and nut butter instead of cheese. Plain yoghurt instead of sour cream. The list goes on and on. Overall, it’s best to be moderate when it comes to any intake of foods that are high in cholesterol. The above tips relate not only to heart and stroke health, but to overall health in general. While deep fried foods, and other junk foods, are certainly tasty, it’s important to make healthy choices whenever possible. Start good eating habits while you’re young and in good shape, and your body will thank you for it!